I’ve had a lot of requests to make a side view template of a Boeing 737-900, so I decided to go ahead and scratch that one off my list. It was a bit more involved than simply stretching my existing 737-800 drawing, as there were some minor wing and engine modifications that needed to be made – but for the most part it wasn’t that bad. At least I didn’t have to modify the fuselage (other than just stretching it). I’m still amazed that this same basic airframe first went into service in 1968. That’s over 40 years ago! 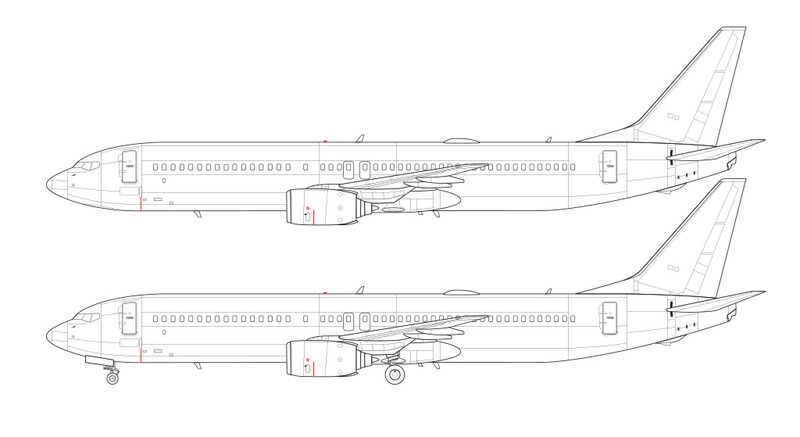 Of course all the inner bits are not the same, but the 737 has truly stood the test of time. 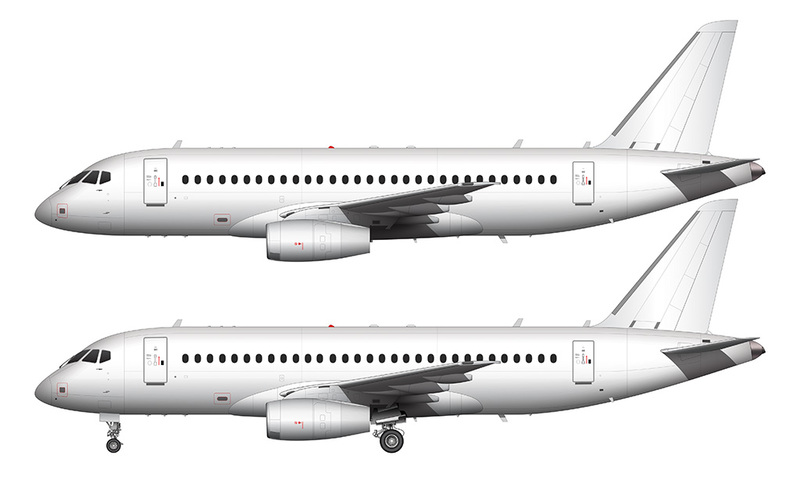 One minor difference between this -900 variant and all the others is that it needs a skid plate attached to the bottom section of the rear fuselage for protection from tail strikes. It’s not a significant piece of equipment, but you can see it clearly here on my drawings (at the very rear, right under the horizontal stabilizer). This is a very long airplane with very short landing gears, so there is a greater chance of scraping during rotation. I guess adding a little extra piece to the airframe was significantly cheaper than increasing how high this aircraft sits off the ground! Other than that, there aren’t any major modifications that I had to make to convert my -800 template into the -900. Personally, I think that it looks too long, reconfirming my feeling that the 737-700 is the best size for this airframe (IMHO of course). 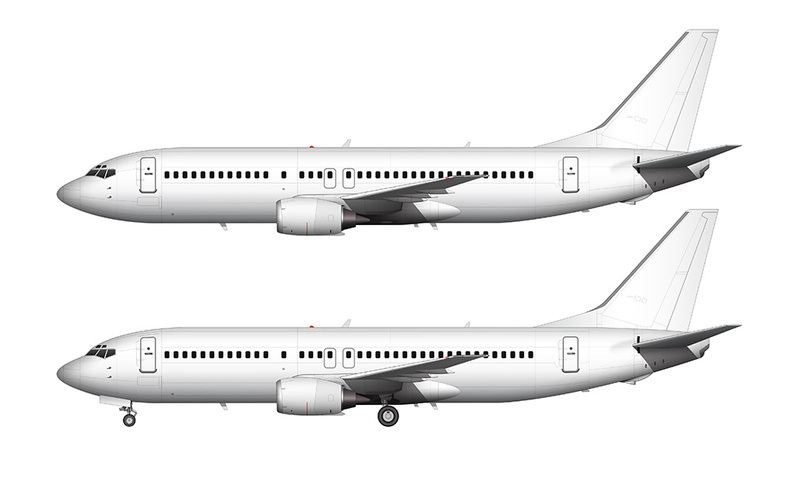 Boeing has stretched the 737 as far as they can, and it would require major modifications to increase capacity any further. It would basically have to be an all new airframe at that point, and it seems to me like it would me much easier to start from scratch with an all new narrow body. So now that I’ve created templates of all the current (“Next Generation“) 737s, it’s time to go back in time and take care of the earlier generations. That’s a bit lower on my priority list though – I need to take care of the Boeing 757 first. Hi Scott, really appreciate if you could do Malindo B737-900 ER with the ‘hunch’ on the back as well, thanks man. Yeah, I’ve got to update my 739 template a bit – there were a few details I missed (like that communications dome). I’ve never heard of Malindo Air, but based on your detailed trip report it looks nice. Can’t promise I’ll do one with that livery but it does look nice!